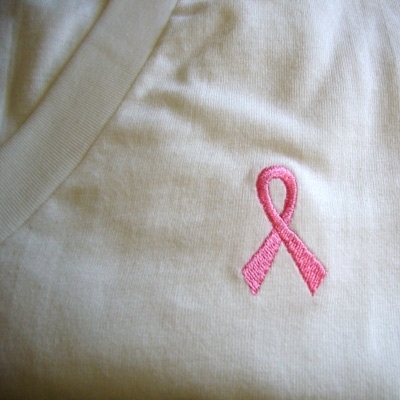 100% white v-neck neck t-shirt with pink ribbon embroidered on left chest. I no longer have this shirt available in pink or black. You will receive a white v-neck shirt. Click on the image to see the larger photo. The white v-neck shirt with embroidered ribbon that you see in the close up picture is the shirt you will get. I have size small left only.